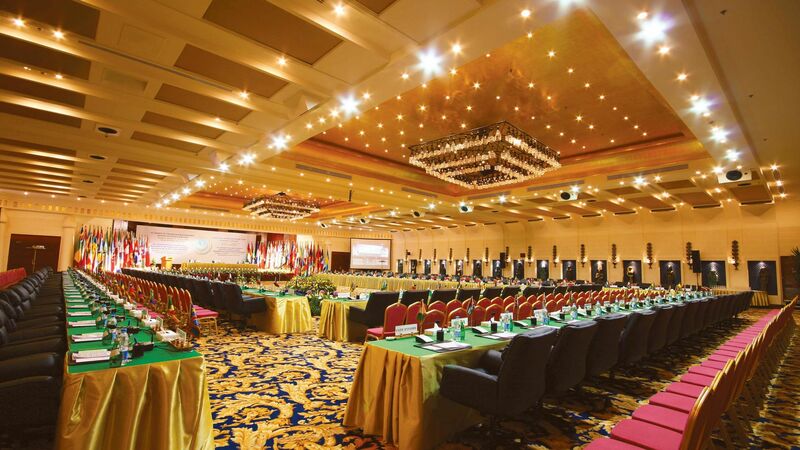 Equipped with state-of-the-art technology, high-end audio-visual equipment, and sophisticated décor, the flexible venues at Savoy Group are the premier destinations for business events and corporate affairs in Sharm El Sheikh. 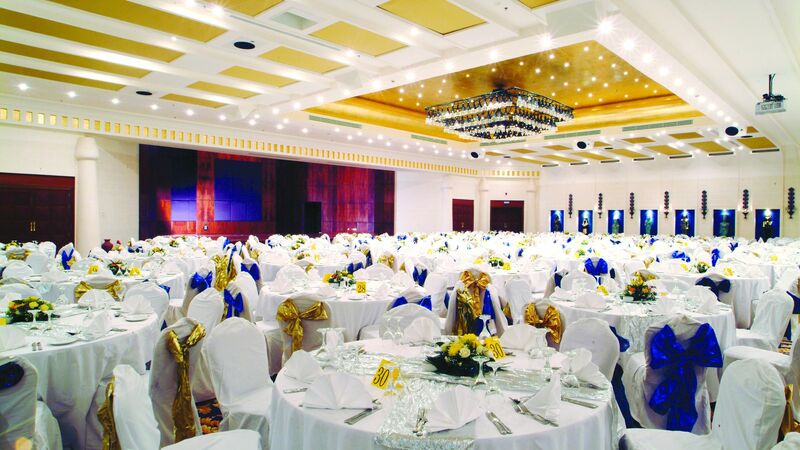 Accommodating up to 1,400 guests, the expansive Egypt Hall can be configured to your specifications with an array of flexible seating and setups. 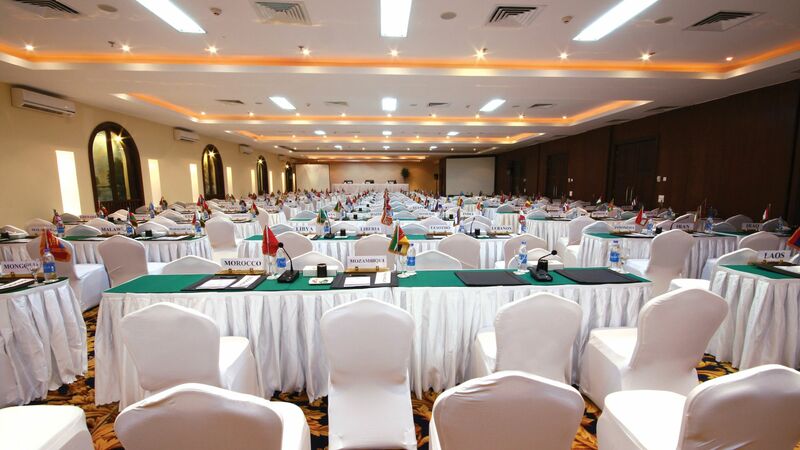 Egypt Hall is one of the largest venues in the Red Sea region and makes an excellent site for conferences and business banquets. 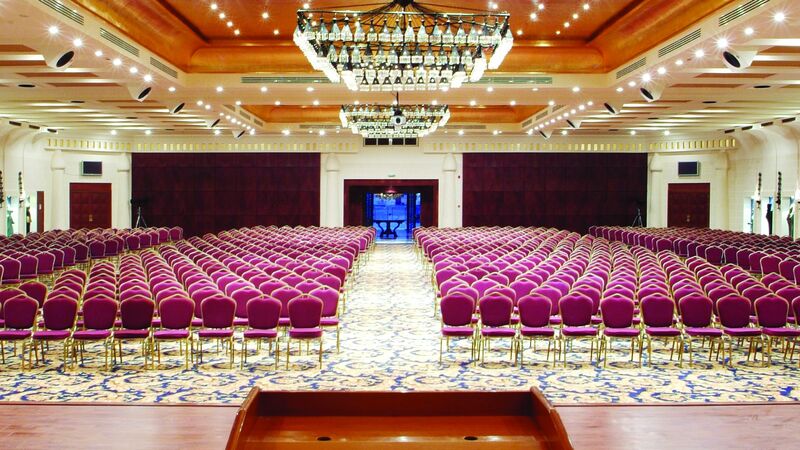 Located conveniently in SOHO Square, Egypt Hall is air conditioned, sound-proofed, and outfitted with top-of-the-line equipment, including built-in speakers, screens and translation consoles, making it ideal for business events in Sharm El Sheikh. Comprised of 10 meeting rooms and accommodating up to 520 guests, British House at SOHO Square is flexible and can be arranged to fit the needs of your corporate group. This large space can be divided into breakout rooms or combined for a mid-sized conference or corporate retreat. British House is fitted with air conditioning and high-end audio-visual equipment. The state-of-the-art conference room and incredible views of the bay make the Fayrouz facility one of the most popular venues for business events in Sharm El Sheikh and the Red Sea region. Accommodating up to 350 guests, the Fayrouz space can be divided into two rooms or used as a larger space in conjunction with other smaller meeting rooms at Savoy. Ideal for small business events, board meetings, and leadership training, the Agate and Jade rooms offer flexible arrangements in a well-appointed space. Perfect for use in combination with the Fayrouz space as sites for breakout sessions. Start planning your business event in Sharm El Sheikh by submitting a request for proposal.